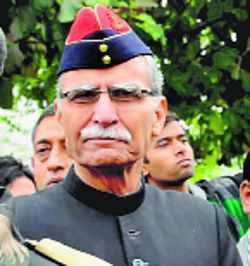 Lt Gen Zameer Uddin Shah PVSM, SM, VSM (Retd), in his recently-published memoirs, "The Sarkari Mussalman: The Life and Travails of a Soldier Educationist", has pointed towards how, during the deployment of the army under him following the 2002 Gujarat riots, he found that the state's civilian administration "appeared to lack resolve to stem the violence", adding, as for the police, it was "very ineffective". According to the army officer, "The police, initially armed with ‘lathis’, were passive bystanders since orders for issue of rifles had not then been given..." Worse, at places, "The police did not fire at the rioters laying siege, but into windows of surrounded homes of minorities, instead ostensibly to ‘keep the two rioting communities apart’, as sheepishly explained to me." As a reaction to the Godhra carnage on February 27, 2002, a statewide bandh was organised on February 28, 2002 by right wing political organisations. Permission was given to bring the bodies of burnt ‘kar sevaks’ in a procession to Ahmedabad. This naturally inflamed passions. The bandh turned violent with large-scale communal killings, destruction of economic assets, arson and looting, targeting the minority community. The state government requested for deployment of the Army through the Union Home Ministry and the Ministry of Defence on February 28, 2002. That evening, after I had just come back from an existence of one of my Brigades, I received a telephone call from the COAS. I was a little surprised since the ‘Chief’ would seldom speak directly to a Divisional Commander. Gen Paddy’s directions to me were, “Zoom, get your formation to Gujarat tonight and quell the riots." I replied, "Sir, the road move will take us two days." He shot back, "The Air Force will take care of your move from Jodhpur. Get maximum troops to the airfield. Speed and resolute action are the need of the hour." We landed on a dark and deserted airfield. The Deputy GOC of the lodger formation received me. I asked, ‘Where are the vehicles and other logistic support we had been promised.’ He shrugged his shoulders and replied that the state government was making the necessary arrangements. I knew that there was only one way to energise the state government. I asked for a guide to take me to the Chief Minister’s (Narendra Modi) residence at Gandhinagar. En route I was horrified to observe rampaging mobs, burning and pillaging with the police as mute spectators. I reached the Chief Minister’s residence at 2 am on March 1, and to my great relief, found Raksha Mantri (RM) George Fernandes there. Both were having a late dinner and invited me to join them. I did, but immediately got down to ‘brass tacks’. I had a tourist map of Gujarat and asked for the trouble spots. I also gave a list of immediate requirements to enable the Army columns to fan out to restore law and order. I returned to the airfield to check out the arrival of the 60-odd flights of IL-76s and AN-32s. By 7 am on March 1, 2002, we had about 3000 troops landed, but no transport, so they remained at the airfield. These were crucial hours lost. Out road columns reached us on 2 March and so did the requisitioned civil trucks, magistrates, police guides and maps. A school building complex was allotted to us and we established the Control HQ. An Additional Director General of Police, Gurdial Singh, was detailed as the Liaison Officer. This confused the men about the authority in charge. A police officer sporting three stars or a two-star Army General? In a day’s time, they knew who was in charge. The initial deployment areas (trouble spots), as indicated by the Chief Minister, were Rajkot, Bhavnagar, Ahmedabad, Vadodara, Godhra and Surat. There were several re-deployments, as dictated by the ground situation. Saurashtra and southern Gujarat generally remained peaceful. Major violence rocked Ahmedabad, Vadodara and Panchmahal districts. The situation was highly tense and communally charged. Armed mobs were roaming unrestrained, committing arson and murder. In the urban areas, a curfew had been ordered, but not enforced. When the Army columns reached the towns, unruly mobs were freely burning and rioting. At a number of locations people were trapped in buildings and places of worship, and were being attacked by mobs. The streets were choked with burning vehicles. Localities had been barricaded to prevent incursions by adversary mobs. These impeded the movement of the Army columns. Both communities were indulging in pitched battles, hurling crude improvised bombs, acid bombs and Molotov cocktails at each other. Extensive damage to property and life, primarily of the minority community, had taken place on February 28, 2002. The police, initially armed with ‘lathis’, were passive bystanders since orders for issue of rifles had not then been given. The partisan attitude of the police lay exposed when I observed that when minority-populated localities were surrounded by mobs, the police did not fire at the rioters laying siege, but into windows of surrounded homes of minorities, instead ostensibly to ‘keep the two rioting communities apart’, as sheepishly explained to me. I did not hesitate to show disapproval at this contemptible and partisan attitude. Godhra town was extremely tense and the entire city was under curfew. Violence had spread to the neighbouring small towns of Panchmahal district. Property of the minority community and individuals were being systematically targeted and large-scale migration was taking place. The major trouble spots were minority ghettos. Successive communal riots had forced the minority community into walled communes. The mixed localities had progressively shrunk, and exclusive ethnic ghettos, with a ‘siege’ mentality, had sprouted. The roads separating these localities were termed as ‘border’ by both communities, and were the ‘fault lines’ along which there was always major violence. The migration of the middle class to ghettos was fraught with danger. Those who had lost everything were ’ripe for plucking’ by anti-national elements. An unbridgeable communal divide had been created. Pockets of majority-dominated areas had been strengthened by building barricades, gates, high-rise walls etc. these were portents of future trouble. In the rural areas, the situation was highly tense and communally charged. These areas were earlier free of communal violence but now were afflicted. Road blocks had been established on rural roads and systematic looting and burning of vehicles of the minority community was in progress. Marauding Adivasi gangs from Rajasthan and Madhya Pradesh created mayhem along the areas bordering these two states. The official figures of deaths and damage do not reflect a true picture of the actual extent of the carnage -- especially in the rural areas. Armed mobs were indulging in arson and murder. The police were conspicuously absent. The troops recovered bodies from wells and gave them decent burials. At one stage, I seriously considered recommending imposition of Martial Law. I was dissuaded from taking this extreme step as it might have been construed as over-stepping my mandate. I visited Godhra along with the RM the next day and we were shown the burnt carriages. I advised the Railways to remove them immediately but the coaches remained in situ for many months-grim reminders and symbols of human hatred-triggering revulsion and heightening passions among those who saw them. The RM, during the visit, asked me, in confidence, what steps should be immediately taken. I recommended an immediate overhaul of the police hierarchy and a police Director General (DG) from outside the Gujarat cadre. He agreed with me, saying, "You have taken the words out of my mouth." We waited but there was no change. KPS Gill was inducted as Security Adviser to the Chief Minister of Gujarat on 4 May 2002. As always, he hogged the headlines after the task had already been done by the Army. There was a feeble attempt to revamp the police and arrest ‘charge-sheeters’ and perpetrators of violence because of the clear signals emanating from the Central Government to the state that restoration of normalcy was essential. The Corps Commander, Lt Gen Hari Prasad, under whom I had now been placed was most supportive and visited the troops many times. The Army Commander Lt Gen GS Sihota whom I admired and trusted also visited many times to take stock of the situation. Attempts to get community leaders to come forward and spread the message of amity yielded disappointing results. Our troops performed magnificently and fairly. One night, I got a report that a Commanding Officer of one of the units in Ahmedabad was making late night visits to the home of a divorced Ghanchi Muslim woman. I asked him to explain his conduct, and when I got no satisfactory explanation, I recommended that he be replaced immediately. He was moved out post-haste. I did not know that this would be used as a weapon against me with the insinuation that I myself was involved with that woman and that I resented another officer taking interest in her. There are several reasons for the uncontrolled violence. The initial reaction of the civil administration was tardy. No civil officials could be contacted on the night of February 28-March 1, 2002. The Chief Secretary was abroad and the officiating incumbent was a non-performer. The initial reception, briefing and provisioning of suitable transport and maps were inadequate and delayed. It required the intervention of the RM to nudge the civil administration into action. Officials never said ‘no’ but seldom lived up to commitments. The civil administration appeared to lack resolve to stem the violence. They were reluctant to impose/enforce curfew because it was politically unpopular. Curfew was selective, indicating partiality. The media widely highlighted the involvement of the political hierarchy in the riots. I found the Para Military Forces (PMF) and Central Police Organisations (CPO) very ineffective. A total of 44 companies of PMF and CPO were available in Gujarat at that time. These forces, which should have acted as the middle rung of the ladder between the state police and the Armed Forces, should have been able to deal with the serious law and order situation. However, the manner of their deployment, absence of communal and control structure, and lack of professional commitment, resulted in their gross under-utilisation. A total of 18 companies of BSF were employed, distributed in penny packets and under command of various police officials. These were pooled training companies from various BSF battalions, without any command and control structure. The BSF hierarchy was content with an arrangement where their senior ranks were not saddled with responsibility and accountability. The BSF was reduced to performing normal police functions and imbibed the worst of police culture. To compound the problems for the Army, BSF personnel also wore combat dress. This led to serious image misrepresentation and eroded the ‘shock effect’ of the Army. This is something the Central Government needs to take a serious note of. Every security organization has adopted disruptive pattern uniforms. The deterrent effect of the Army uniform has been nullified with the Army columns now having to carry placards declaring ‘ARMY’ – disgraceful and demeaning for the men in olive green uniform. A total of 63 companies of State Reserve Police were also available in Gujarat. The police attitude and, in most cases, their absence during crucial periods were inextricably linked to the community to which they belonged. The police, as has always happened to communal riots all over the country, was blatantly partisan and abdicated its responsibility of dealing with majority community mobs to the Army. It was observed that, on several occasions, the police melted away when faced with majority community rioters, ostensibly on the excuse that they were called away to deal with another situation elsewhere. The higher police hierarchy was totally politicized and virtually divided along political lines. A large number of assertive officers were occupying non-consequential appointments. A further blow to police morale was inflicted by the reported reshuffle and large scale transfers of police officers who had dealt firmly with rioters. There had been an erosion of authority of senior officers with undue importance being given to Station House Officers (Junior Commissioned Officer equivalent). These junior police officers had become a law unto themselves taking directions from ‘up’ instead of their chain of command. Small police outposts had no logistic backup and were dependent for meals on neighbouring majority pockets, which contributed to undermining neutrality. Over a period of time, the police hierarchy had become bloated and top heavy. There was a surfeit of Deputy Inspector Generals of Police (DIGs), Inspector Generals (IG), Additional DGs and DGs and very few middle-rung officers like Superintendents of Police (SP), Deputy Superintendents of Police (DSP), Assistant SPs to enforce security measures. This also skewed the working equations, to the detriment of the Army. Police stations were manned by IG-level officers and young army majors and Captains were in a quandary dealing with them. The worst blot on the police was targeting minority members of the force itself. Newspaper reports indicated that houses of the few minority community members residing in the police lines were burnt. The Home Guards, being part of the population of the area and even more politicized than the police, were totally ineffective. They were passive observers and, in many instances, the very instigators of violence. It was reported that most of the 25 Home Guard Commandants were primary members of right wing organisations. The services of 2,000 Home Guards were de-requisitioned by the state government on 9 April 2002. They were more of a nuisance. Restoration of the Rule of Law was the mandate given to the Army. The guideline before committing Army troops is to compel the civil administration to first employ all police resources at their disposal. The partisan attitude of the police, however, compelled the Army to be employed and sometimes take proactive measures. The civil magistrates accompanying the troops were most supportive of these actions taken to prevent wanton bloodshed. What 110 companies of the Para Military Forces and police could not do what was done in 48 hours by six Army Battalions (24 companies). The situation was quickly brought under control by firm and impartial action, with resolute use of minimum force. We had issued orders that arsonists caught in the act were to be shot. There were 19 instances where the Army columns were compelled to fire, killing two and wounding 24 rioters. Orders to shoot below the hip were enforced. A further number of casualties due to Army firing were carried away by the mobs and could not be accounted for. A question arose – why were most of the casualties members of one community? My explanation was that the soldier does not recognize the community of a person but can identify an arsonist and he deals with the situation as per orders. Large quantities of guns, country-made weapons, crude bombs and incendiary material were recovered and either destroyed or handed over to police. Other major tasks were burials and escorting affected persons of the minority community to safer places of refuge. Approximately 10,000 persons were evacuated from riot-affected areas by the troops. A large number of distress messages were being received to rescue family members of service personnel. These were promptly attended to. It took two months of firm and even handed measures by the Army for passions to be brought under control and peace and sanity restored. My Division was de-inducted in two phases. The Divisional HQ and one Brigade moved back by a rail and road move between April 20 and 24, 2002. 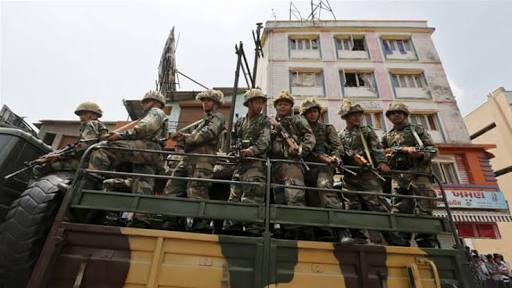 The second Brigade de-inducted between 20 and 24 May leaving behind a surcharged situation but marked absence of violence. In the wake of the Army withdrawal, additional companies of the Central Reserve Police Force (CRPF) were inducted into the state, especially in Ahmedabad. Cosmetic changes were also made to the police set-up. On our de-induction from Gujarat in April/May 2002, we found that the war clouds had dissipated. We got back to training which had been neglected. We also needed some rest and recuperation and laid special stress on games and afforestation of the environment. We planted thousands of trees, but on my return several years later I found that the locals had not looked after the valuable assets we had left behind. Postscript: After my retirement I was informed by a person of unimpeachable integrity and honesty and in the know of things that my command of troops during Op Aman had raised eyebrows. Questions were asked as to how a person bearing a Muslim name had been given the responsibility to quell communal riots. The reply given was that "the Army doesn’t look at names. It entrusts responsibility to the Commander of the formation committed." That apparently closed the issue. My formation did their job and because of them I was awarded a Sena Medal for restoring peace and sanity in Gujarat.